Chinese manufacturers are flooding the market with all sorts of devices ranging from flagship to mid-range and even entry-level devices are been released virtually every quarter. However, there are some companies who have a strong grip on the market while others are just trying to carve a niche for themselves. 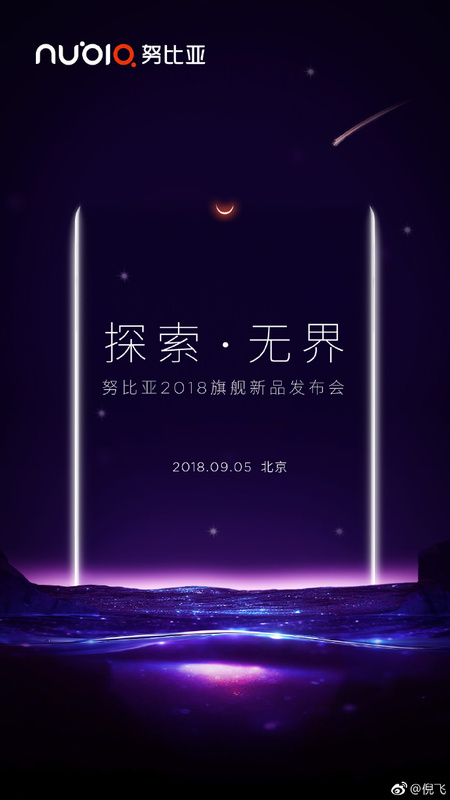 Nubia have not done badly in recent times since its separation from ZTE, it has a decent amount of followers and the company is getting set for its tomorrow’s launch event of its new flagship smartphone – Nubia Z18. Today, an official of the Nubia community released the poster of the Nubia flagship Z18 in the Nubian community. This poster leaves no suspense about the design of the smartphone. As shown in the figure, the Nubia Z18 continues the family-free design language without bezels and the official hints that the Nubia Z18 has a new surprise. In addition to its bezel-less design, the Nubia Z18 also features a water drop screen, which is Nubia’s first drop-screen phone. The front camera is embedded in the center of the top of the screen, and the chin is narrower which gives this phone an outstanding visual effect. In addition, the official also revealed that the Nubia Z18 has a Van Gogh version, and its back is a painting “Star Moonlight Night” by the Dutch post-impressionist painter Vincent van Gogh. The Nubian Z18 will be available in black and red. Looking at the main configuration, Nubia Z18 uses a 5.99-inch 18:9 full screen and a body width of 72.54mm. It is equipped with a Qualcomm Snapdragon 845 processor coupled with 8GB of RAM and at least 64GB/128GB of internal storage. The lights of this smartphone will be kept on by a 3350mAh battery. This battery appears to be “too small”, a 4000 mAh battery would have been more appealing.